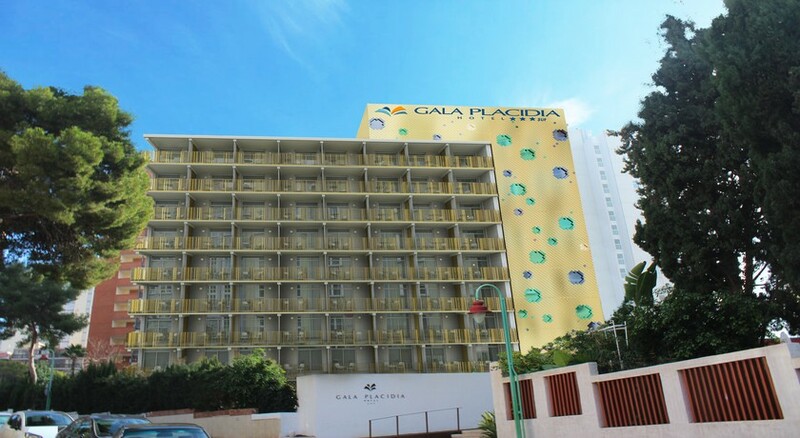 Hotel Gala Placidia is located in Benidorm, on the eastern coast of Spain. This hotel has 136 guest rooms, all of which are air conditioned, and are available in two types including the Classic Double Room and Double Plus Room. A bed and breakfast buffet is available with each of the rooms, or guests can also upgrade to all inclusive. The guests enjoying an all inclusive stay also get a free Spa Circuit pass per person per stay, for those seeking R&R. The spa offers up access to the gym, Finnish Sauna, Turkish Bath and more. When you’re not being pampered, Hotel Gala Placidia also offers up two swimming pools, with an exclusive pool area for families, and fun activities and games which is perfect for the younger guests. Hotel Gala Placidia is located close to many bars and restaurants, which is ideal for guests wanting to go for lunch or dinner outside of the complex. There’s also an abundance of shops in the surrounding area for those wishing to pick up trinkets and souvenirs during their time on holiday. If you’ve got the kids in tow, it’s also close to the Aqualandia Water Park, which is the perfect way to cool down on a hot day. Or if you’d rather enjoy the cooling sea, or even the water sports it has to offer, then why not take a short walk down to the beach. Hotel Gala Placidia has 136 rooms in total, available in two different types to suit a range of guests - the Classic Double Room and Double Room Plus. 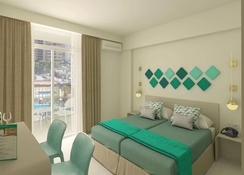 Each of the rooms come with air conditioning, a separate bathroom, flat screen TV, and a fully furnished terrace. The Double Room Plus’ terraces have the added bonus if you’re overlooking the hotel’s pool. The rooms also come with a hairdryer, telephone, safe deposit box and the Double Room Plus’ comes with a kettle. Bed and breakfast is included with all of the rooms, which offers up freshly baked pastries, juices, coffee and also hot meals. There is also the option to go all inclusive during your stay at this hotel for those wanting to lap up the luxury, for less. The restaurant at Hotel Gala Placidia is a buffet-style restaurant which offers up international dishes, and the hotel also has weekly barbecues during the summer months. 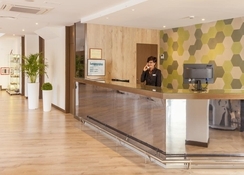 This hotel’s prime location also means that you are close to a supermarket and restaurants, which is perfect for the guests or even go out for a meal. 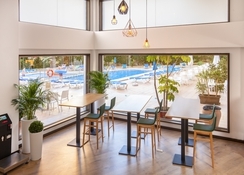 For guests having an all inclusive stay at Hotel Gala Placidia, they are entitled to a free Spa Circuit pass, which gives access to the Gym, Finnish Sauna, Turkish Bath and Dynastic Spa Heated Pool. The Spa Circuit is only 100 meters away from the hotel .Gala Placidia Hotel also offers up the perfect stay for families, with an exclusive family pool area, as well as having entertainment during the day and in the evening, which offers up fun activities and games for the children. Its prime location also means it’s near to the Aqualandia Water Park and the Mundomar Animal Park, which are great for days out with the kids. Cards accepted: Mastercard, American Express, Visa, Maestro, Euro 6000. What an amazing holiday! The staff at this hotel were so friendly and entertaining while the whole time being so professional and ensuring we were kept happy. 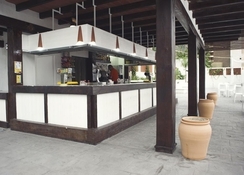 The food and drinks here were also very good, I would recommend the all inclusive option as it is great value for money. Stayed at this hotel had a wonderful week December 2017 staff were amazing could not do enough for us . We went on a week when it was a Spanish holiday and we had great fun learning to dance and followed the entertainment program . Hotel is on a slight gradient but we managed getting in and out ok. When being dropped off and picked up we were shown by the coach driver who was very cheerful where to go not far from drop off point . As the hotel was all-inclusive food was very acceptable I enjoy paella and it was delicious . A themed night like Mexican Indian Spanish etc. Rooms were very clean decor basic but judging on the fact the holiday was very affordable for both of us and luggage and flights all-inclusive under £600 we got what we paid for and more . Very happy would happily go again . Good food clean room and good location . Location was excellent, short walk to local amenities, bars, restaurants and the beach. It's a stone throw away from one of the best restaurants I've visited in Benidorm, 'ScianTusi'. Although you are close to the heart of Benidorm staying at gala placida, it is surprisingly quiet at night time. There was always a good selection of food to choose from at the buffet restaurant. The staff were always lovely and very helpful with every query or request. The only downside to this hotel was the room itself. They could be doing with some modernising and a fridge, kettle etc would also be a good addition. All in all we had a great time at gala placida and would return again in the future. Great beds, good bathrooms, clean rooms, locality is out of the way but that's not a bad thing given the chaos in the town centre. Ten minute stroll to centre is no problem. Food is better than I expected to be honest with plenty of variety each day and specials on some days. Local spirits are not great but again it is what it is. I would stop there again without any issues.